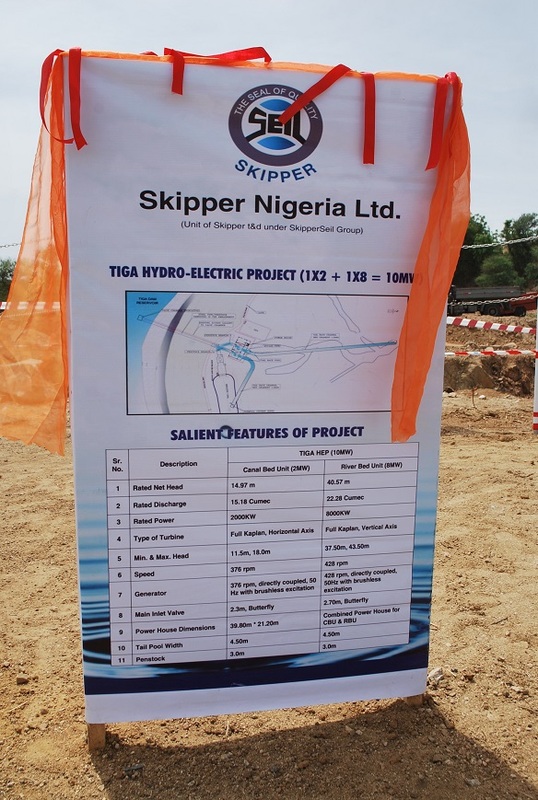 The foundation laying ceremony of the 10 MW Tiga hydro electricity Power station project was conducted on 30th May, 2014 and performed by the former Head of State Gen. Muhammadu Buhari (rtd). 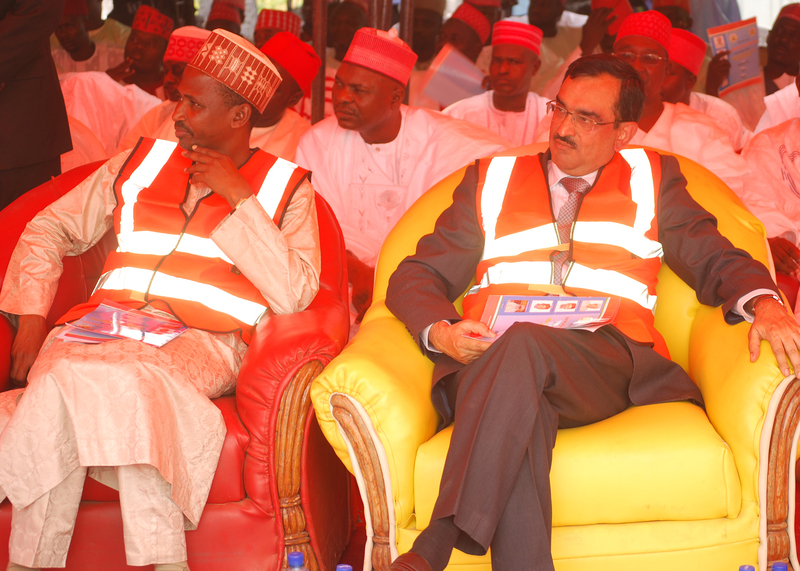 The event was presided over by Kano State Governor, His Excellency, Engr. 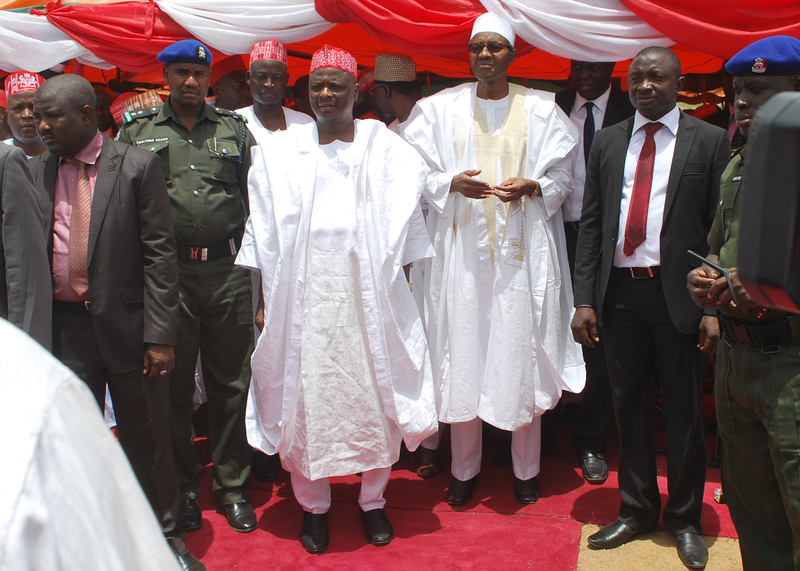 Rabi’u Musa Kwankwaso and the welcome address was given by Secretary to the State Government and Head of Civil Services of Kano, Hon. Engr. Dr. Rabi’u Sulaiman Bichi. The ceremony was well attended by other dignitaries including Commissioners, Ministry of Works, Housing and Transport, Hon. Alhaji Abba Kabir Yusuf, district heads, permanent secretaries, and project implementation committee members. HE The Governor commended the on-schedule work being done by Skipper and mentioned that the Tiga project will be completed in January 2015 and the second Independent Power Project at Challawa Gorge dam, generating 25MW power, will be completed in March, 2015. Both the projects, with a total capacity of 35MW, are being executed by Skipper t&d are the biggest in Northern Nigeria and one of the most capital intensive projects in recent times. On completion, the projects are estimated to transform the economy of the state. In his address to the present gathering, Joint Group President, Skipper t & d, Mr. Pankaj Sachdeva explained the salient features of the project. Detailing Skipper’s active focus on safety, quality and environment, he mentioned that in order to ensure that the project meets world-class standards, experts such as Voith, Bangalore Hydro and AF consultants were selected for supply of major items, design and project monitoring. Mr. Sachdeva also spoke about Skipper’s readiness to deliver the Kano projects efficiently and on schedule.